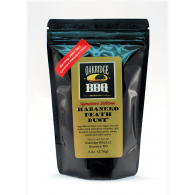 Our Jah Love Jerk is an authentic Jamaican Jerk seasoning with an assertive heat from our use of the finest Scotch Bonnet chiles. We have spared no expense in developing the ultimate flavor experience. 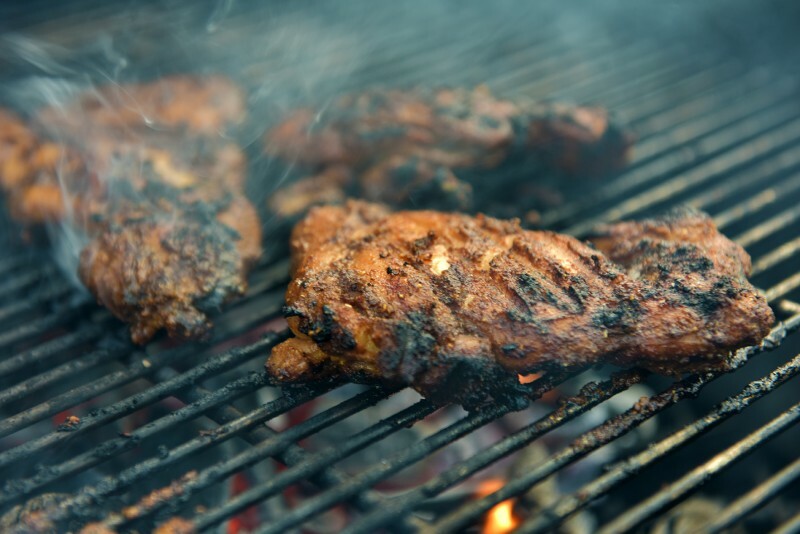 Caribbean Jerk is a long-held staple in Island cuisine. The unique flavor profile instantly conveys tropical scenes and a laid-back lifestyle. 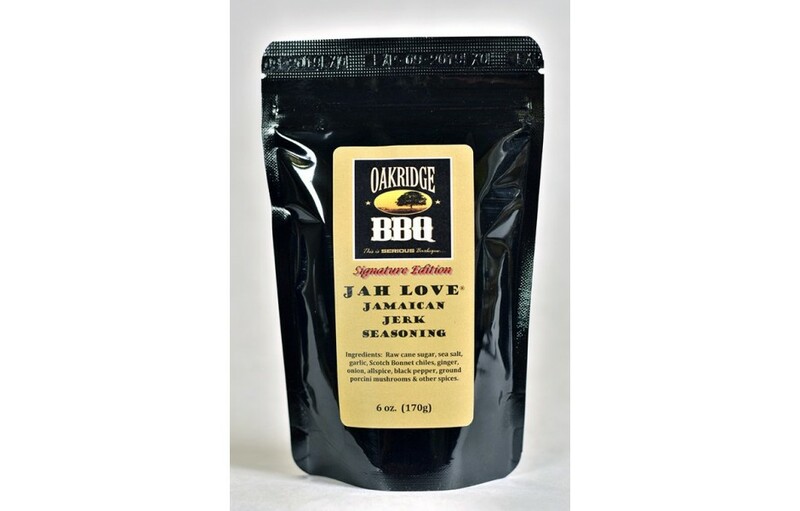 Our Jah Love Jerk is an authentic Jamaican Jerk seasoning with an assertive heat from our use of the finest Scotch Bonnet chiles. 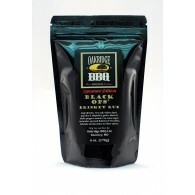 As with all our Signature Edition blends, we have spared no expense in developing the ultimate flavor experience. Instructions: Make a paste with equal parts peanut oil and Jerk Seasoning. 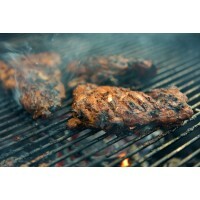 Marinate chicken for a minimum of 3 hours, overnight is best. For an extra kick, Re-dust with Jah Love 30 minutes prior to grilling. Grill over a hot charcoal fire. 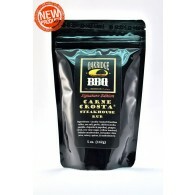 Ingredients: Raw cane sugar, sea salt, garlic, Scotch Bonnet chiles, ginger, onion, allspice, black pepper, ground porcini mushrooms & other spices. Make a paste with equal parts peanut oil and Jerk Seasoning. 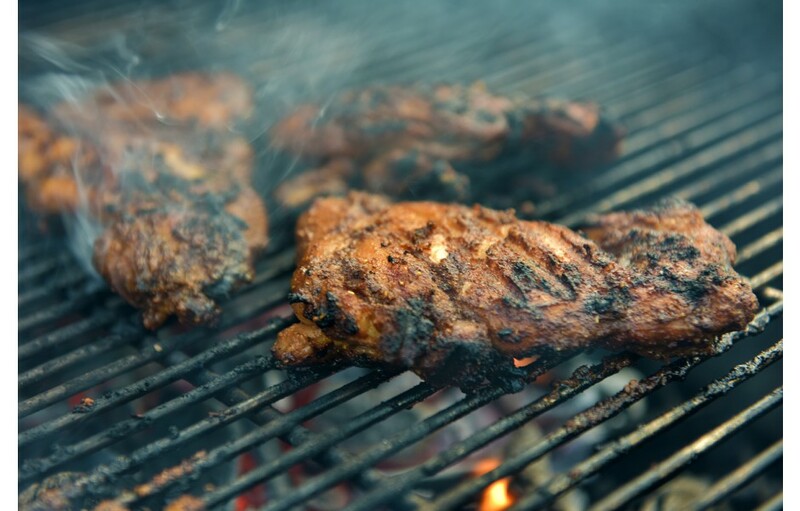 Marinate chicken for a minimum of 3 hours. 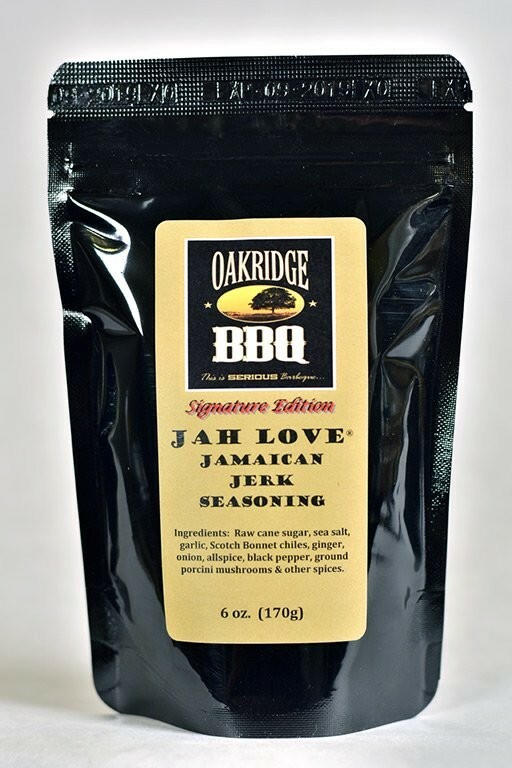 For an extra kick, Re-dust with Jah Love 30 minutes prior to grilling. Grill over a hot charcoal fire.